Take a break from election day news cycles and browse through some marker entries! This week we added fifty-nine new entries in the Civil War category of the Historical Marker Database. The entries range from Alabama, Arkansas, Connecticut, Georgia, Kentucky, Mississippi, New York, North Carolina, South Carolina, Tennessee, Virginia, and Wisconsin. – The home of General John H. Kelly, boy General of the Confederacy, stands in Carrollton, Alabama. Kelly was mortally wounded in battle at Franklin, but not the battle of Franklin you are thinking of! – A memorial and marker set from Leola, Arkansas highlight the battle of Jenkins’ Ferry. The battle was fought in April 1864 at the close of the Red River Campaign. – A memorial in Greenwich, Connecticut honors the Civil War veterans from that community. – Sherman’s men burned the facilities at Jewells Mill, Georgia, at the Shoals of the Ogeechee during their march to the sea. – A marker near Woodland, Georgia notes the passage of Wilson’s raiders through the town of Belleview at the closing days of the war. – A marker in Thomaston, Georgia notes the final resting place of 34 Confederates, six of whom are unknown. Most of the men were patients in the nearby temporary hospitals. – Seven entries complete the tour of Columbus-Belmont State Park in Kentucky. Highlights include markers discussing the USCT garrison, along with the anchor and cannon recovered from the Iron Bluffs. – A memorial in Corinth, Mississippi notes the Confederates who died in the April-May 1862 “siege” of Corinth. – The final resting place of General George Thomas, “The Rock of Chickamauga,” is in Troy, New York, far away from his Virginia home. – A memorial in Somers, New York lists the men from the community who died in the war. – A marker in Kinston, North Carolina discusses the execution of 22 soldiers in 1864. These men were captured while serving in the Union army and determined to have deserted from the Confederate army. – A memorial in Bennettsville, North Carolina honors the Confederate veterans from Marlboro County. – The “Queen of the Confederacy,” Lucy Holcombe Pickens was born in LaGrange, Tennessee. Her portrait appeared on Confederate money. Federal troops were quartered in the house during the war. A Civil War Trails marker further discusses the wartime activity in LaGrange. – In the battle of Moscow, “The river seemed like running blood.” Moscow, Tennessee, that is. A Civil War Trails marker details a December 4, 1863 there. – Grand Junction, Tennessee became a critical supply node for the Federal army operating against Vicksburg in late 1862. – Civil War trails markers in Collierville, Tennessee note raids by Confederate General James Chalmers in October and November 1863. – Eighteen entries from Stones River battlefield this week, all collected during my late summer visit. This week’s work covers the December 31 battlefield. Will post a marker tour set when the task is completed in upcoming weeks. 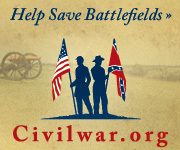 – Ten entries from the Petersburg this week, extending our coverage of that Virginia battlefield. – From Milwaukee, Wisconsin two entries this week. A marker notes the training camp there was known as Camp Holton, then Camp Sigel, and finally Camp Reno. Six Wisconsin regiments mustered there. Another marker draws our attention to Saint John’s Infirmary where sisters cared for soldiers during the war, and the first recorded kidney removal was performed.